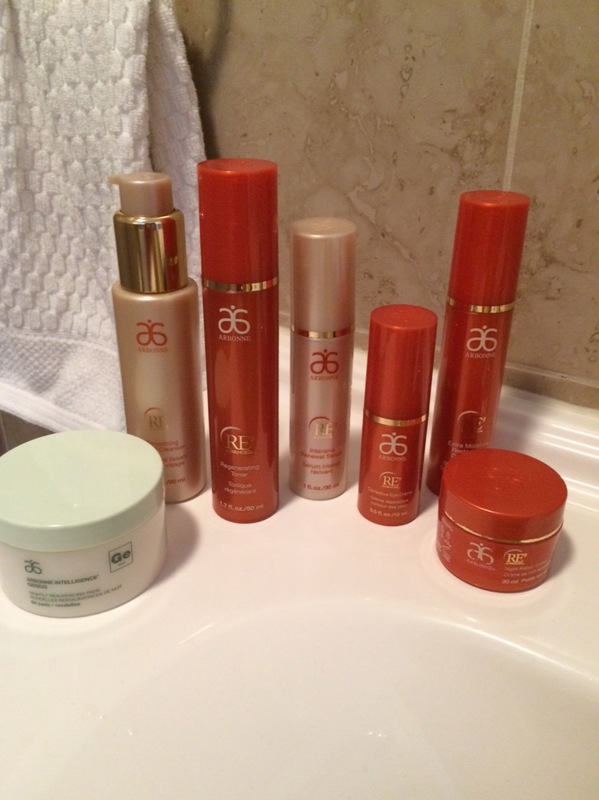 NS Lifestyles: How do you get the "Arbonne Glow"
Last week, I happily volunteered myself to test out the new Arbonne RE9 anti-aging skincare. The lovely and charming rep, Jill, dropped off the goodies at my house. Arbonne standards for ingredients and science are based off EU as well as US standards, touting products that are all natural, pure and safe. This particular line is their premier anti-aging components. Reportedly it's supposed to clinically improve skin firmness in just 24 hours. There are seven products total in the line. Thank God there were detailed directions! I have fairly sensitive skin and am madly in love with my regular aesthetician whose own-made cream is my only regimen. Like most women my bathroom is a graveyard of discarded "miracle" creams. I was a little trepidatious about trying so many products especially when Jill mentioned that I may have a reaction to them. But I plowed ahead. Night routine just switched out for night cream. For someone whose usual routine is only one product this was a big deal. Was it a lot of steps? Yes. Was the cheat sheet necessary? Yes. Was it a pain in the neck? Not at all. After using the products for three days and three nights I didn't notice a marked improvement but I did notice what Jill had referred to as the "Arbonne glow". Furthermore, my sensitive skin did not react at all to any of the seven products. That says a lot to me. Jill and I are discussing an order now.